Grandpa Rainbow felt the neighborhood needed some color, so he picked up a paintbrush and went to work. 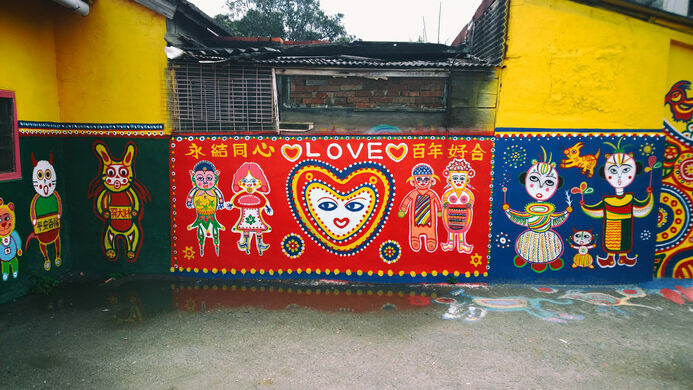 Three years ago an 87 year-old military veteran known as “Grandpa Rainbow” (real name is Huang Yung-Fu) began painting the walls, doors, and ground of his small military dependents’ village, just outside of Taichung in Taiwan. 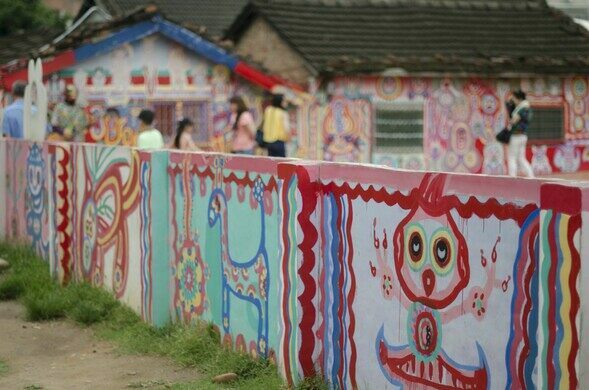 Every day Grandpa Rainbow paints a little more and more, bringing the village’s rundown surfaces back to life with his vibrant colors and characters, and giving it the name “Rainbow Family Village”. 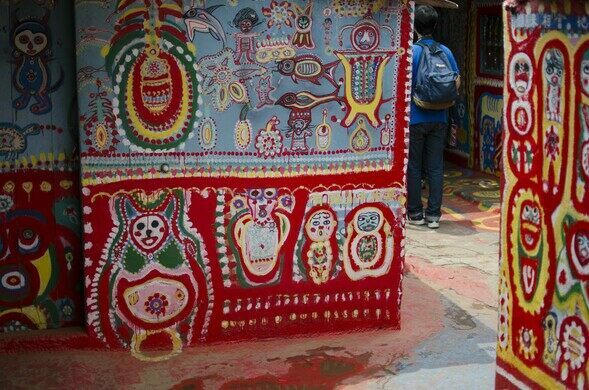 Depending on whom you are talking to, Grandpa Rainbow either started painting because he was bored and wanted to brighten up his drab surroundings, or it was to save his village from demolition by the government. No matter the backstory, the village has become something of an out-of-the-way tourist destination. 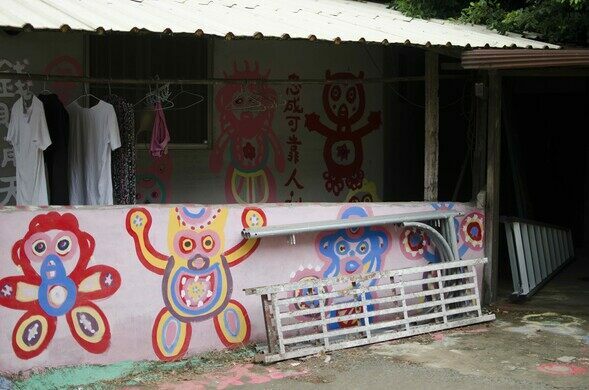 Grandpa Rainbow is now the only person living in the village, and despite the draw, Rainbow Family Village is currently under threat of demolition to make way for new development. 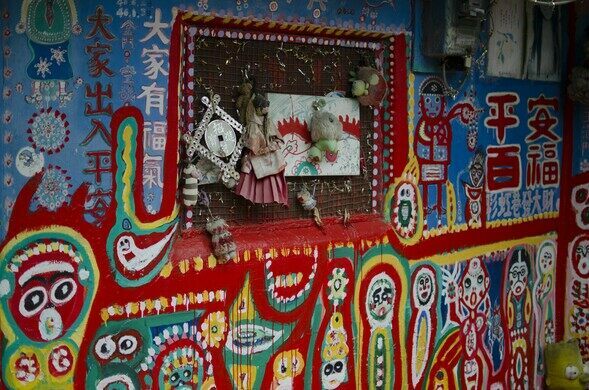 Paiwanese restaurant run by native aboriginal Taiwanese singer songwriter, and home to a DIY arts-and-crafts folk garden. 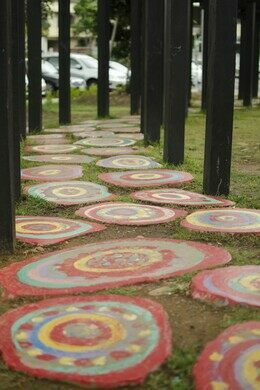 A hotel in Taiwan based on the better business practices that can be gleaned from Jewish law. Life-size animals and furniture made entirely from cardboard fill this odd paper-themed restaurant. 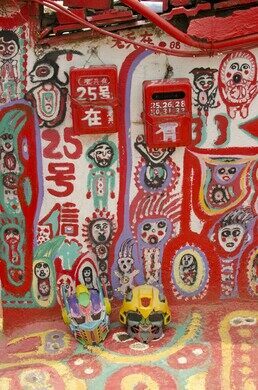 The quirky - and private - constructions of a secluded artist depict the house of God.